Anadolu Efes doesn’t count Derrick Brown in for next season. 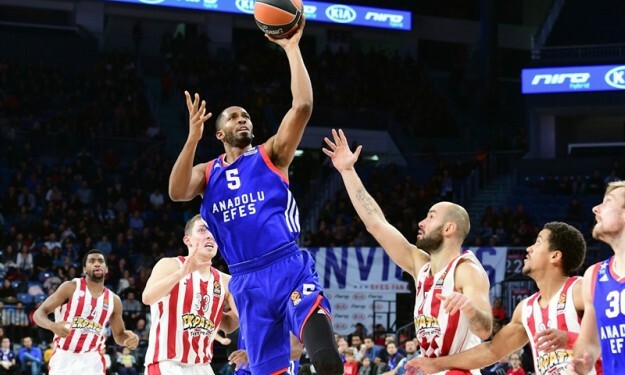 Derrick Brown, who is still under contract with Anadolu Efes, is not in the team’s plans for next season, as the team’s GM Alper Yilmaz mentioned on BasketFaul. Brown spent the previous three seasons with the Turkish team and averaged 7.2 points, 2.3 rebounds και 1.6 assists this past one, though coach Ergin Ataman chose not to use him during the Turkish League playoffs. Now Anadolu Efes is looking to add Tibor Pleiss and already has added strength to the power forward position with Brock Motum and Adrien Moerman.